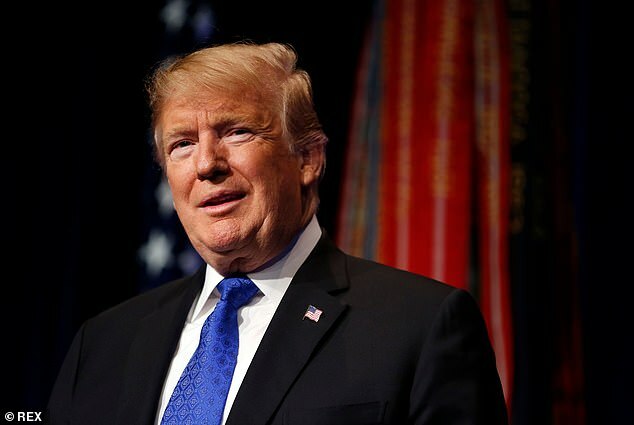 President Donald Trump directed his attorney Michael Cohen to lie to Congress about his negotiations to build a Trump Tower in Moscow, two federal law enforcement officials close to the investigation have claimed. A new bombshell report by Buzzfeed alleges that the president and his oldest children Ivanka and Donald Trump Jr received regular updates about the development, even as Trump repeatedly claimed he had no business in Russia. 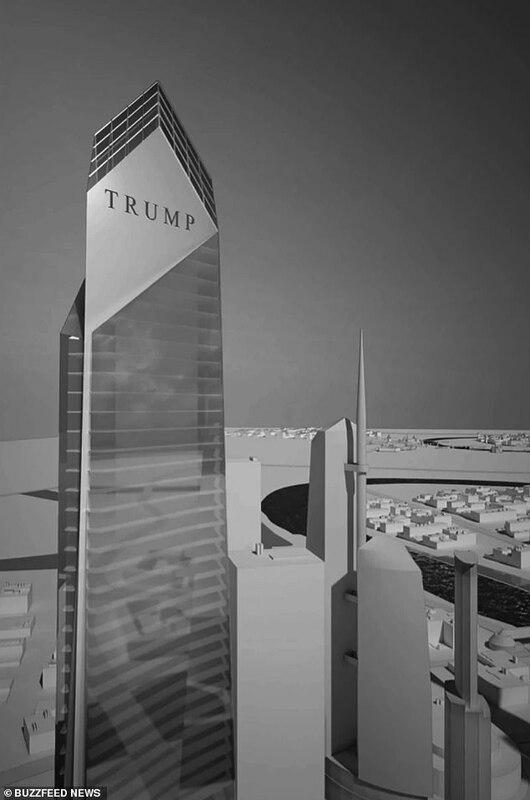 The report claims that Trump also wanted to visit Russia during his presidential campaign to personally meet with Vladimir Putin and begin negotiations on the tower, which he hoped could make him $300million in profits. 'Make it happen,' the sources claim Trump told Cohen about the meeting. The sources also claim that Trump had at least 10 face-to-face meetings with Cohen about Trump Tower Moscow during his presidential campaign. Special Counsel Robert Mueller later filed documents revealing Cohen said he discussed the proposal with Trump on multiple occasions and with members of the president's family. Mueller, who is investigating Russian interference in the presidential election and possible coordination with the Trump campaign, also noted that Cohen's lies to Congress about when the development ended was meant to 'minimize links between the Moscow Project and Individual 1 in hopes of limiting the ongoing Russia investigations'. 'Individual 1' is Mueller's name for Trump in the investigation. Cohen, who sources said was put in charge of the project, also acknowledged he considered traveling to Moscow to discuss the project. The two sources claim that Cohen told Mueller that, after Trump won the election, he personally instructed Cohen to lie to Congress about when the negotiations for Trump Tower had ended. Mueller first discovered that Trump told Cohen to lie to Congress via evidence from internal company emails, text messages, and witnesses from the Trump Organization, according to Buzzfeed. Cohen later confirmed it during his own interviews with the special counsel. Cohen had previously told two congressional committees that the talks about the tower project ended in January 2016, a lie he said was an act of loyalty to Trump. In fact, the negotiations continued until June 2016, Cohen acknowledged. Cohen had also testified that he only gave Trump three short briefings on the project, only to tell Mueller that this was a lie as well. Trump's former personal attorney said he far more discussions about Trump Tower Moscow with the president, and also had extensive discussions about it with Trump's children - giving them 'very detailed updates'. Ivanka has claimed that she was only 'minimally involved' in the project, although Cohen alleges that Trump's eldest daughter was actually going to manage a spa at the tower and had personally recommended an architect. And Donald Trump Jr testified before Congress that he had only been 'peripherally aware' of the development, and that most of his knowledge about the project was gained during the hearing. After Cohen pleaded guilty to lying to Congress, Trump defended the project. But while Trump was campaigning for president, he repeatedly claimed he had nothing to do with Russia whatsoever. 'I know nothing about Russia. 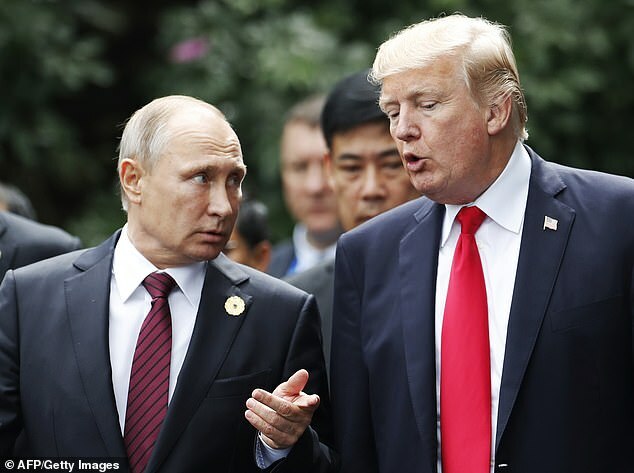 I know - I know about Russia, but I know nothing about the inner workings of Russia,' he said during a debate against Hillary Clinton in October 2016. Not long after the Buzzfeed report was published, a slew of Democratic congressmen called for an investigation - or even Trump's impeachment. 'If the President directed Cohen to lie to Congress, that is obstruction of justice. Period. Full stop,' tweeted Rhode Island Rep David Cicilline. 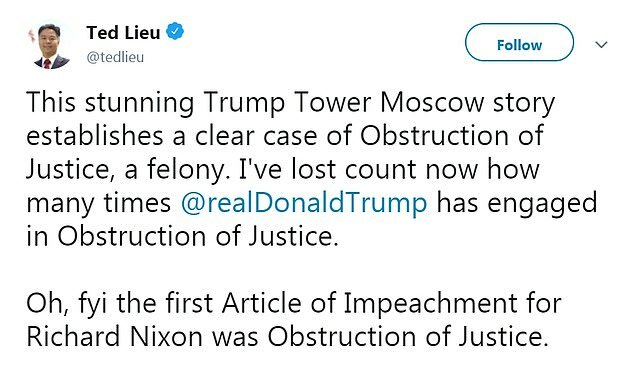 'Oh, fyi the first Article of Impeachment for Richard Nixon was Obstruction of Justice,' he added. 'If the @Buzzfeed story is true, President Trump must resign or be impeached,' declared Texas Rep Joaquin Castro, a member of the House Intelligence Committee. 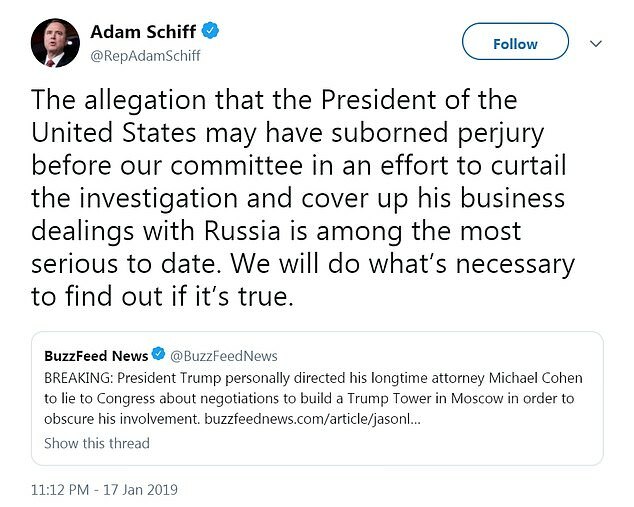 Rep Adam B Schiff, the chairman of the House Intelligence Committee, said they will 'do what's necessary to find out if it's true'. 'The allegation that the President of the United States may have suborned perjury before our committee in an effort to curtail the investigation and cover up his business dealings with Russia is among the most serious to date,' he tweeted. Hawaii Sen Brian Schatz also called for Congress to investigate the report. 'I mean everything feels like a bombshell and we are all numb but I'm pretty sure if this story is true it's - I'm going to be careful with my words here - something that Congress must investigate thoroughly'. Meanwhile, Connecticut Sen Chris Murphy called on Mueller to 'show Congress his cards before it's too late for us to act'. 'Listen, if Mueller does have multiple sources confirming Trump directed Cohen to lie to Congress, then we need to know this ASAP,' he tweeted. On the same day the report was released, Cohen admitted he paid a technology company to rig Trump's standing in two online polls before he launched his presidential campaign. 'As for the @WSJ article on poll rigging, what I did was at the direction of and for the sole benefit of @realDonaldTrump @POTUS,' Cohen tweeted. Cohen disputed that he paid cash, telling the Journal that 'All monies paid to Mr Gauger were by check.' He offered no further comment. Federal prosecutors referred to a payment to Gauger's company - though not by name - when Cohen was charged last summer with violating campaign finance laws by arranging hush-money payments to two women who claim they had extramarital affairs with Trump. A charging document stated that Cohen had been reimbursed by the Trump Organization for payments to the women, plus $50,000 for 'tech services' that he requested in a handwritten note.